Elementos (ASX: ELT) is positioned to rapidly advance work on a definitive feasibility study on Oropesa given the significant body of work already completed on the project in Spain’s mining-friendly Andalucia region and its strong cash position. 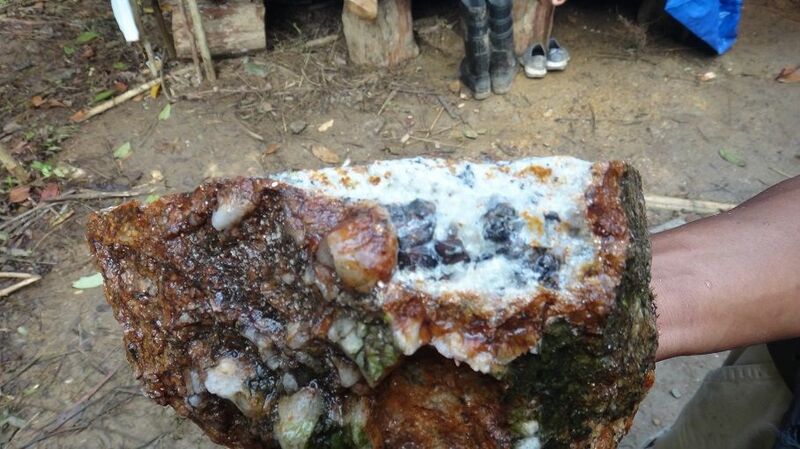 Elementos signed a binding heads of agreement with TSXV-listed Eurotin (TIN) to acquire the latter’s 96% Oropesa stake. More than 54,000m of drilling has defined significant, near-surface resources containing 67,500 tonnes of tin (9.34 million tonnes at 0.55% measured/indicated, and 3.2Mt of 0.52% inferred). Elementos’ veteran geologist CEO Chris Creagh sees plenty of exploration upside in the 14.51sq.km land package at Oropesa, and the immediate surrounds, just as he does for the company’s high-quality tin assets in Australia and Malaysia. “We believe there is potential to identify other resources in the Oropesa tenement package and expand the scale of the project in the future,” he says. “Overwhelmingly we are a junior mining company with a board that is overweight in project execution expertise,” says executive director Chris Dunks, who has more than 20 years of project delivery experience with engineering firms including Bechtel, Jacobs, SNC Lavalin and Worley Parsons. “As a group we have decades of experience in project delivery, so can bring to this project a level of expertise in making sure the project is structured, planned and executed to the highest standard possible,” Dunks says. “A key element of success in project delivery is knowing what can go off track, and knowing what questions to ask at what time to effectively deliver the project. “We have the team that has the expertise to do this well, and that sets us apart and enhances the value proposition for investors. “The Elementos team have recognised for some time that we needed to grow our portfolio of tin opportunities, as we recognised the market wasn’t necessarily excited by single-project companies. “So we started to review alternative opportunities … and recognised early on that the Oropesa project was one of the largest greenfield tin development opportunities available. The current market-standard concentrate determination “is a key metric for being able to generate the right financial modelling, and understanding your risk profile with respect to revenue generation”. Creagh, who previously worked at the world-class Renison tin operation in Tasmania, says tin is highly amenable to ore sorting because of the metal’s sensor profile. “We have all seen the success of ore sorting at Minsur’s San Rafael mining operations in Peru and the increasing application of this technology at both Metals X’s Renison operation in Tasmania and Kasbah’s Achmaach development in Morocco,” he says. According to Dunks: “With the project at such a stage, a significant amount of risk has been removed or identified and we are ready to progress quickly. We are acquiring a project that has a DFS that is nearing completion, which is a significant point of difference we believe. “The resource defined so far also looks like it is very well suited to the development of an openpit operation. It is near surface, as indicated, the metallurgy is simple and uncomplicated. “Infrastructure is all in place. The site is only two hours from Seville and is well connected with major highway infrastructure. Power is from the grid, and there is abundant water for the process envisaged. There is rail access about 16km from the project area. “There are a number of large, operating openpit mines nearby. The local community is extremely supportive, and there is a labour pool we can immediately draw upon and we have the full support of the local authorities. 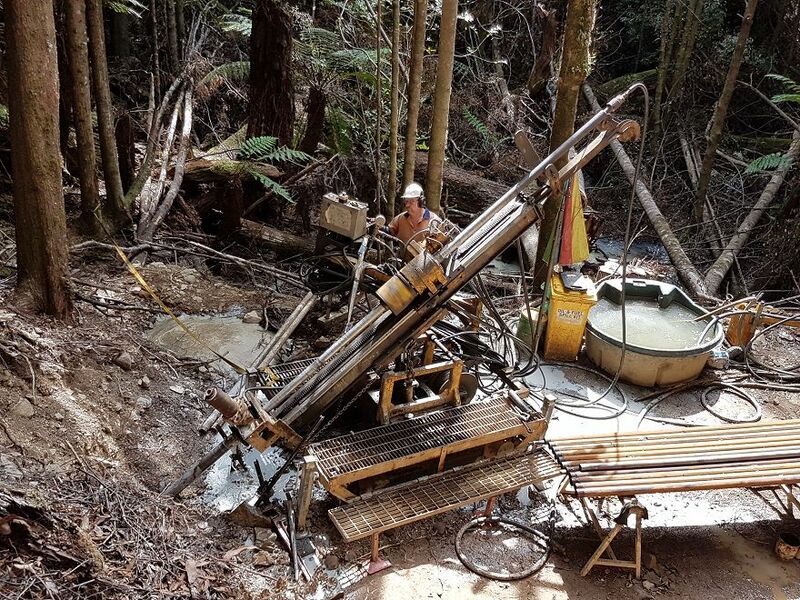 “At Cleveland we are progressing metallurgical testwork on the openpit material we have sourced from our recently completed drilling programme,” Dunks says. The Temengor opportunity – which came to Elementos via an approach to the company at an Asia Tin conference meeting – centres on the exploration and development potential around a century-old tin mining camp in Malaysia. Elementos has been working with a small Malaysian group over the past 18 months to assess the wider resource potential of the site and determine a workable farm-in structure. “The key steps for us there are to finalise the joint venture, and then to start working with the local governments to formalise the exploration programme,” Dunks says. “Our joint venture partner in Ipoh has a team that has already started preparations for site activities such as detailed geological mapping and sampling. Reconnaissance surveys have already identified a significant number of targets. “The tin sector has strong fundamentals with forecast global shortfall in supply due to have a significant impact by 2020,” Dunks says.